Open Every Sunday from 9AM-5PM, Rain or Shine! Melrose Trading Post is a community event created by Greenway Arts Alliance. BlueBell Rugged in her booth, B4. 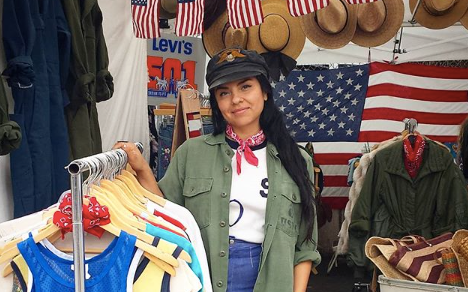 The businesses that pop-up at the Melrose Trading Post each Sunday represent LA’s strong sense of creative entrepreneurship. 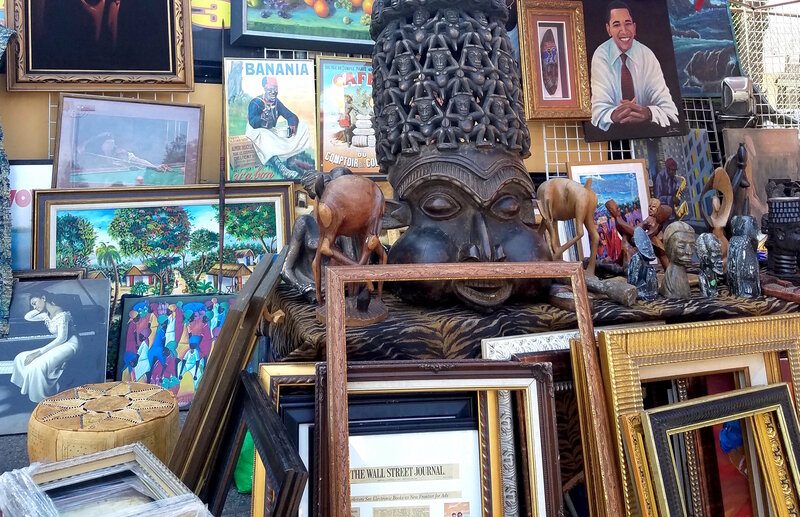 These businesses curate, collect, handcraft and embellish the merchandise you see in the market. MTP keeps alive the tradition of the marketplace being a collective of global culture and a crossroads of fashion, art, history and design. 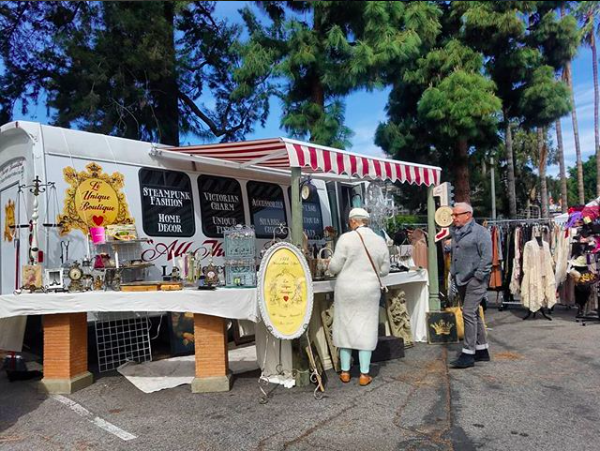 Shop Local Every Holiday at the Melrose Trading Post. Gifts made and gathered with love are best for the soul. Alex of Freaky Records Hand Cuts Each Record into Art! Dani of Blue Bell Rugged is one of our new permanent vendors! Stuart, the @tapestryguru, is your local source for gorgeous tapestries and posters. Thank you @seagypsycalifornia for being too legit. Most blogs will recommend you avoid Hollywood completely, but it is a little unavoidable for some MTP Vendors and Visitors. The map below has the streets that will be closed as some point on Sunday, February 28th. The official list of times and closure points can be found on the last page of this document from the Oscar website. If you’re coming from the 101, you can use Cahuenga Blvd or cut through Franklin Avenue to get to Fairfax or La Brea. LA Get Down Festival – Poems are Gay! Greenway Arts Main Stage: Emma-Jane Thommen, Molly Miller Trio & Hunter & Braden! Greenway Arts Main Stage: Dylan Chambers, Bassel & the Supernaturals and ChiArts – All Star Jazz Combo! Greenway Arts Main Stage: Dora Pereli, Vignes Rooftop Revival and Sheriffs of Shroedingham! 10:00 – 10:30AM – Megan McIver the Bubbleologist! Greenway Arts Main Stage: TBD, Sydney Ranee Band and the Adam Miller Trio! Keep Smiling, Sunday will be here soon! The disco lounge is live! We offer a limited amount of parking on campus. The Stacked Parking Entrance can be accessed on Fairfax Avenue at Clinton Street (directions below). The Valet Parking Entrance is on Genesee Avenue just south of Melrose Avenue. 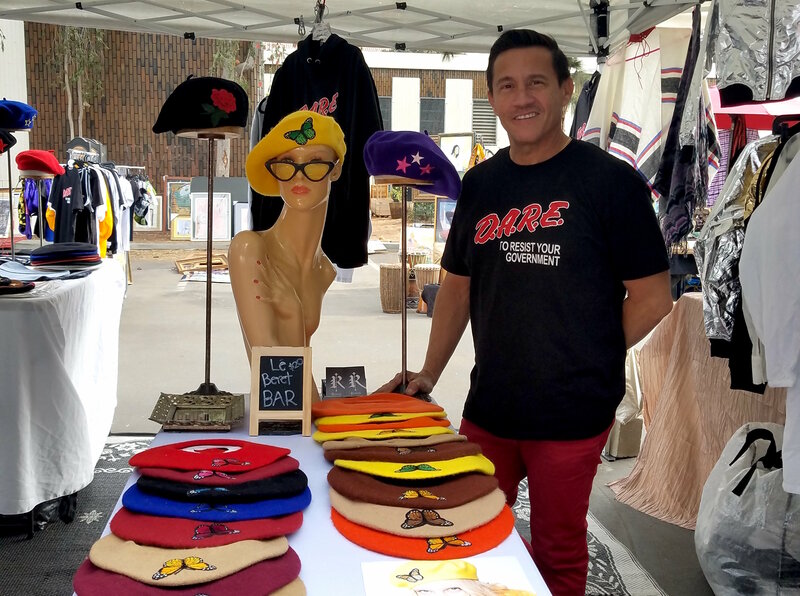 Use of the school premises for the Melrose Trading Post market has been granted pursuant to the provisions of Sections 17400, et seq., of the Education Code of the State of California to Greenway Arts Alliance from the Board of Education of the Los Angeles Unified School District. LA Unified and the Board of Education does not sponsor or take responsibility, nor does it endorse any of the activities, statements or opinions which may be expressed at this meeting/activity.